Rapid Prototyping and Consumer Feedback brings New Insights. Last week we finished a regimented, rapid prototyping process known as a Design Sprint, where we developed a concept, designed a product, built a conceptual prototype, and got customer feedback all within five days. The process culminated last Friday in a webinar when we unveiled what we had been working on all week to a focus group of diabetes patients: a mobile application for monitoring glucose levels without a continuous glucose monitor. Like any other inventive company, we’re not immune to getting excited about our own ideas, which is why it’s critical to get objective feedback early on in the process. Thanks to the observations from participants in our webinar—people who have intimate knowledge about which tools are useful for managing diabetes—we gained invaluable insights that will help us move forward as we develop a product for market. That product, SoftCGM, we hope will be an entirely new way for patients to monitor their glucose levels without having to use expensive and invasive CGM hardware. A common assumption is that once a diabetes patient begins to use a CGM device, they never go back. But actually, according to research, more than half of patients who try CGM systems end up abandoning the technology. The same held true at our webinar on Friday, where almost half of the participants said they used CGM systems in the past but no longer do so. More than 80 percent of our respondents said they didn’t like the invasive nature of the CGM sensors. So, we posed this question to our webinar participants: if we could eliminate your number one objection to CGM technology, would you be more likely to pursue Continuous Glucose Monitoring? The answer to that question, was an overwhelming yes. 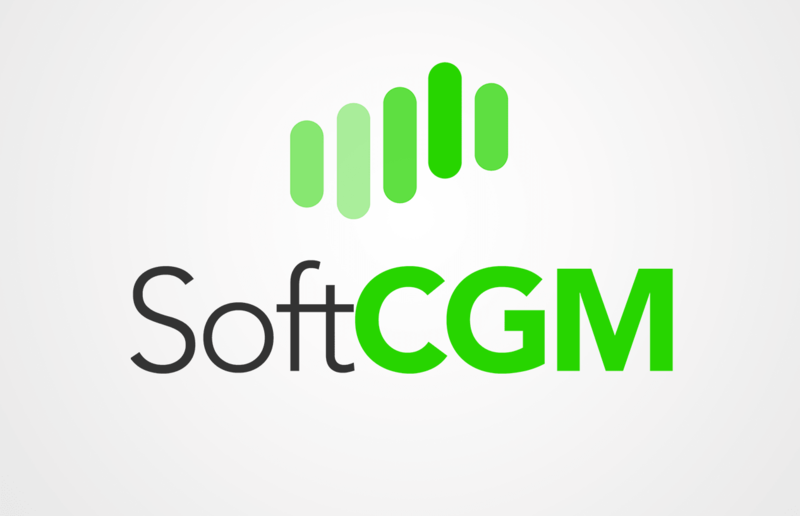 Our solution, SoftCGM, applies machine learning technology to create a dynamic algorithm that can utilize data from health trackers, mobile devices, finger-stick data, and manual inputs to give a blood glucose score, without the use of sensors. The reading would look similar to that of a traditional CGM monitor, with some additional features to help the user know the accuracy of the reading, and whether or not they need to input more data. Because a predictive model is only as good as its data, we built in a data confidence level and accuracy scorecard in our prototype that shows the accuracy of glucose readings. Without sensor data, the system requires other regular inputs to remain accurate. If you forget to sync your Fitbit, or you don’t upload finger-stick data, the data confidence level will drop, letting the user know that more data is needed. To improve the app’s confidence, the user simply needs to input more data, maybe by turning on their health tracker, or recording what they ate for dinner. The accuracy scorecard will compare the app’s predicted glucose readings to actual glucose levels revealed by finger stick data. Below are some screen shots of our conceptual prototype that we presented on Friday. Overall, the Soft CGM features got a very positive response from our webinar participants. The Design Sprint process turned out to be an excellent way to hash out an idea and quickly gain worthwhile feedback. And now that we’re familiar with the process, there are sure to be more Design Sprints to come here at Aspire.